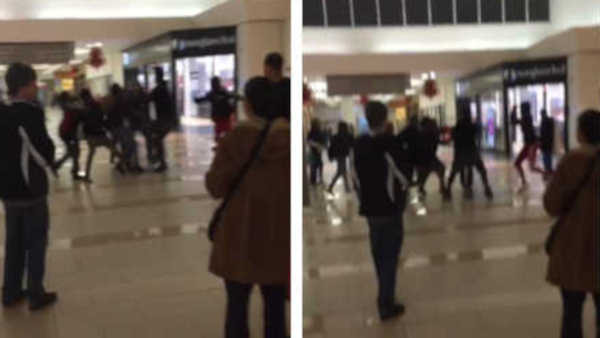 EATONTOWN, New Jersey (WABC) -- Authorities say a boy is hospitalized with a collapsed lung after being stabbed at the Monmouth Mall in New Jersey. It happened during a fight Saturday night near Macy's at the mall in Eatontown, but it is not clear what led to the scuffl. There is no word yet on the boy's condition, name and age. The victim was transported to Jersey Shore Medical Center. The mall released a statement wishing the victim a speedy recovery. Some stores located near the stabbing scene were briefly closed Saturday night while the incident was investigated. But the mall was operating normally on Sunday. It wasn't clear how many people were involved in the fight that led to the stabbing. But authorities say no other injuries were reported.